- There is a hot-shoe flash mount on top so that you can mount a Hot Shoe Flash / Slave Sensor / Receiver. - You can also adjust the angle for different lighting purposes. 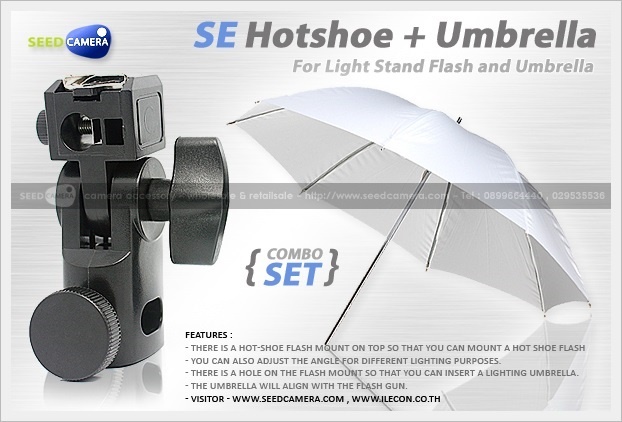 - There is a hole on the flash mount so that you can insert a lighting umbrella. - The umbrella will align with the flash gun.